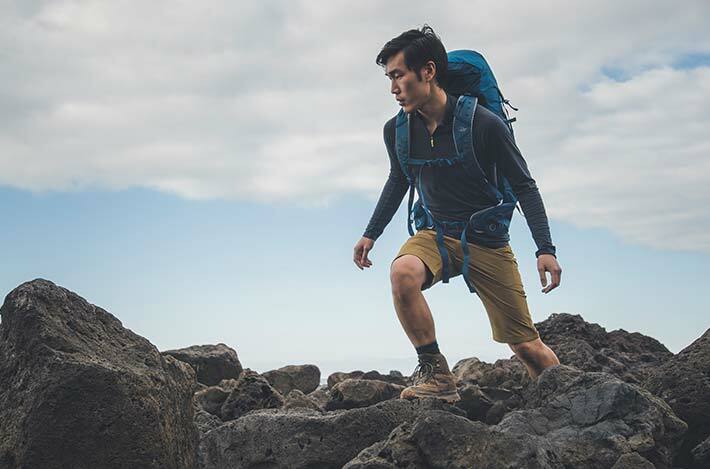 When you’re covering ground on a long distance hike, the AirZone Trek+ ND33:40 will keep you cool and comfortable on the trail. 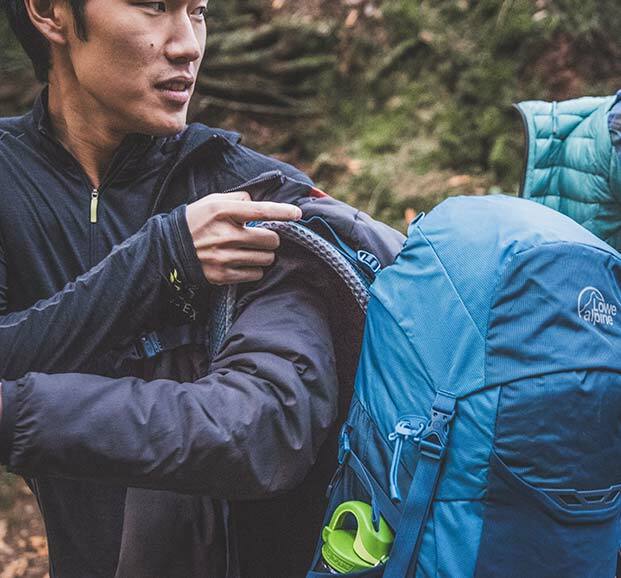 Ideal for lightweight backpacking and long hikes, the Trek+ is a fully adjustable, ventilated women’s hiking backpack for serious hillwalkers. 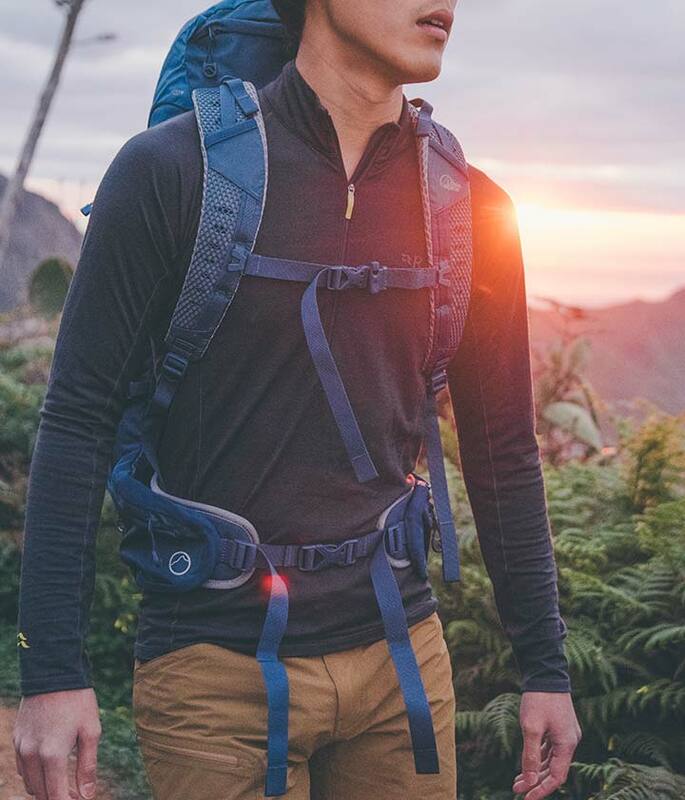 The AirZone Trek+ ND33:40 features the Centro Adjust AirZone back system, reducing weight and allowing air to move freely between the pack and the wearer’s back, while the adjustable back-length and AdaptiveFit™ hip belt and harness ensure the perfect fit. 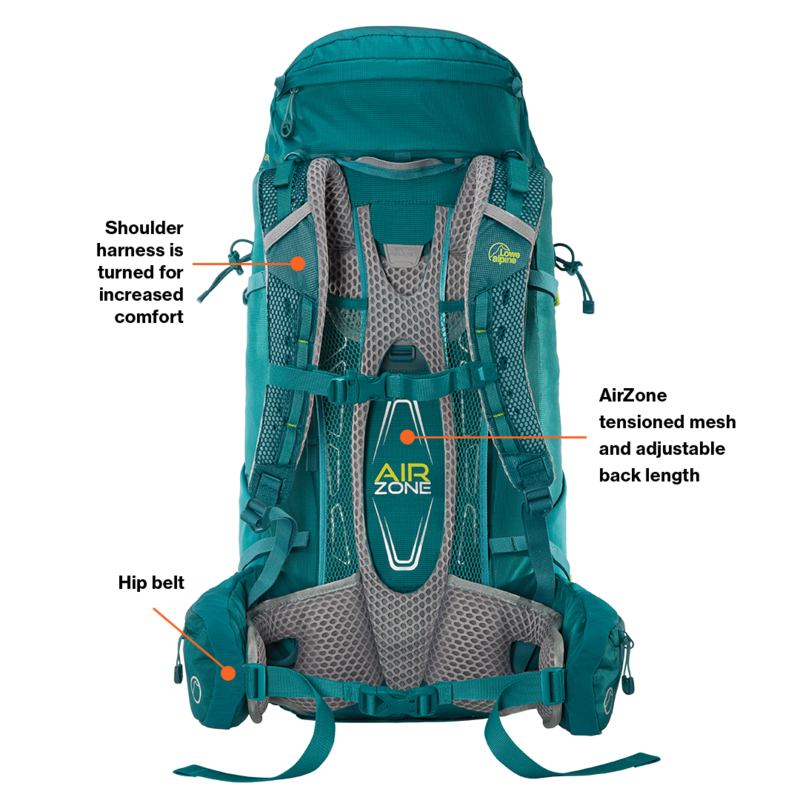 A twin compartment design, including lower entry with zipped divider panel and zipped front entry, allows easy access, with side compression providing stability on the move. 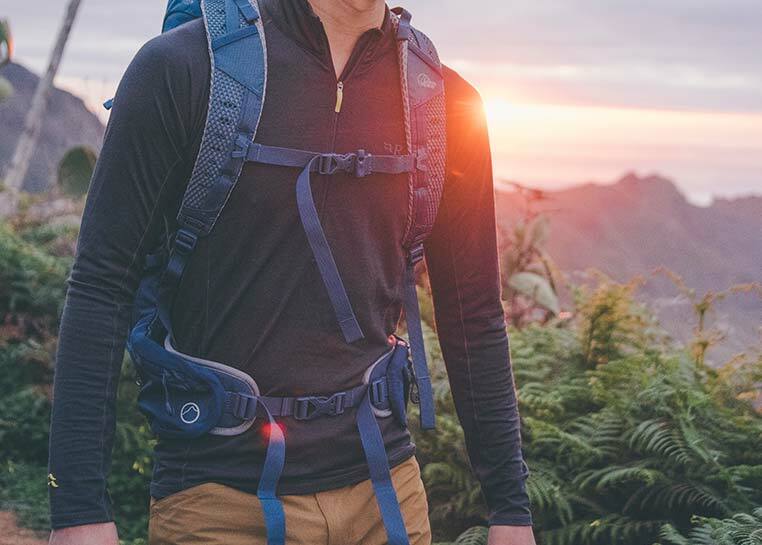 Offering versatile storage options, the AirZone Trek+ ND33:40 has an expandable lid to increase the volume, as well as bellows side pockets, a stretch mesh front pocket, and large stretch mesh side pockets. 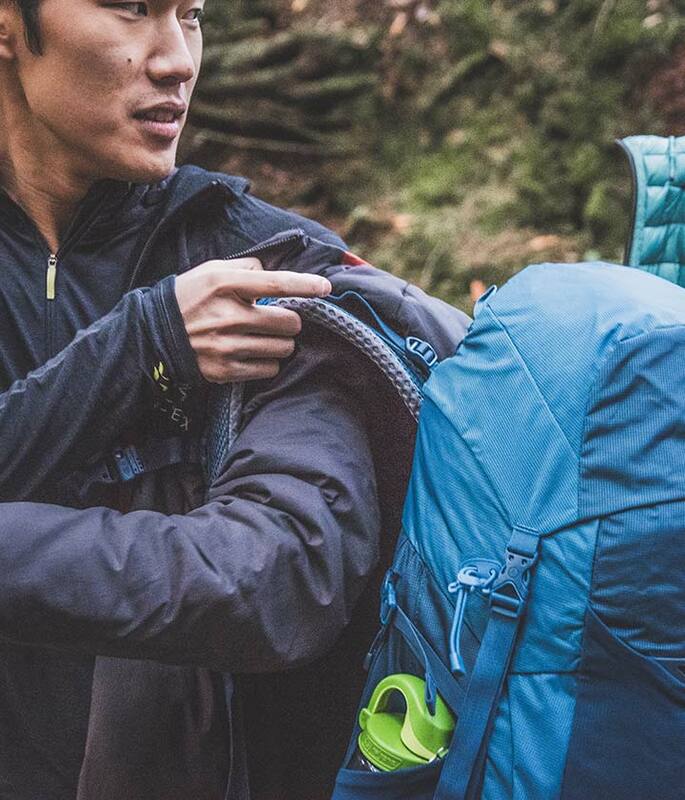 An internal zipped security pocket and key clip keep valuables safe. 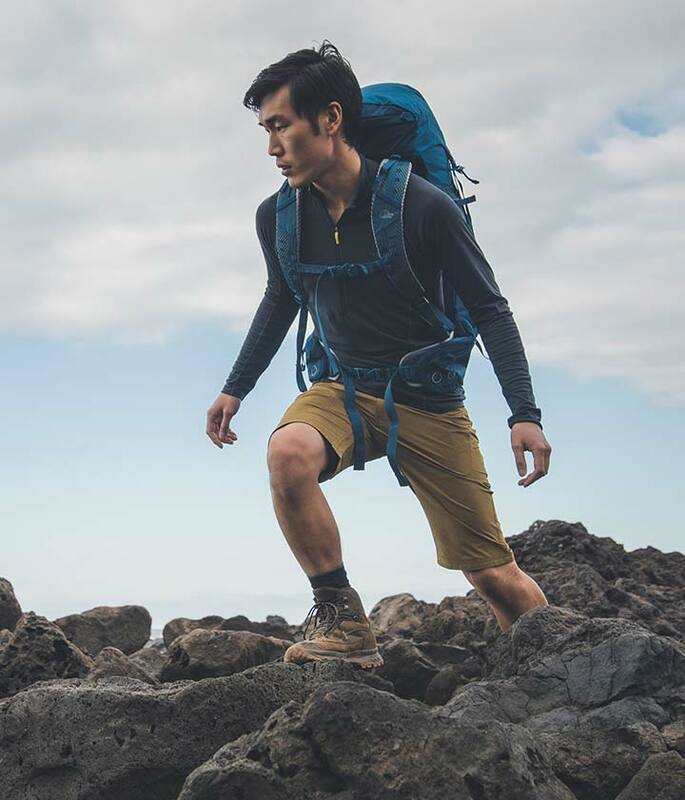 Ideal for lightweight backpacking in warmer climates, the AirZone Trek+ ND33:40 gives a cool and comfortable carry.